Are you curious how to respond to the recent changes to the Facebook news feed? 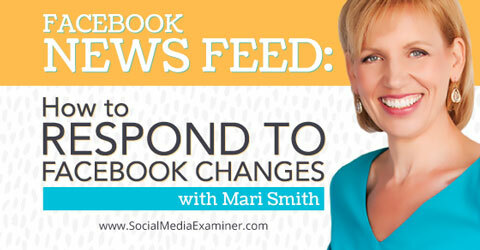 Listen to Mari Smith explain how you can respond to recent Facebook news feed changes. In this episode, I interview Mari Smith, who is the world’s leading Facebook marketing authority. She’s authored the books, The New Relationship Marketing and Facebook Marketing: An Hour a Day. This is her fourth appearance on the show! Mari explores what you need to know about marketing with Facebook, and in particular the news feed. You’ll discover the importance of native links, why micro-video should be key to your Facebook posting strategy and how Atlas will change the way you do online advertising. Share your feedback, read the show notes and get the links mentioned in this episode below! Mari shares that over the next year, marketers will have to embrace the idea of paid amplified posts. According to Mari, most businesses on Facebook will have to bite the bullet and allocate dollars to paid posts this coming year. In the coming year, advertisers will have to embrace paying to amplify posts on Facebook. Mari shares that another Facebook trend is the push for micro-video and user-generated content. You’ll hear more about this in the show. The next big consideration is connecting with your mobile users. With 75% of Facebook users accessing the site from mobile devices, your content must be effective on a mobile feed and able to direct people to a mobile-friendly landing page. Listen to the show to find out why community managers are more important than ever to your Facebook marketing strategy. With Facebook clearly giving preferential visibility to consumers rather than brands, marketers now have to rethink their posting strategy. Especially with all of the latest updates to the news feed. Mari explains that some of the changes have been around links, and as marketers we are all about the images. In the past we have been told that posts with photos get the best visibility in the news feed. Mari explains that marketers have tried all kinds of clever ways to circumvent the news feed ranking algorithm. When you wanted to include a link in your post, you could use an image and include the link in the description. Now what Facebook calls native link posts give you a bigger image preview on your posts. You type or paste a link into your publisher on your page or profile, and it automatically generates a preview with a large image. As soon as you paste a link into your status, Facebook generates a preview with a larger image. You’ll hear the huge advantages of this type of post, and why you need to consider it for your posting strategy. Listen to the show to find out why Mari recommends you change up your posting strategy to integrate more links. At the end of July 2014, Facebook introduced a new Save feature, which lets you to save items found on Facebook to check out later when you have more time. Facebook makes it easy to save content from the news feed and consume it later. Available on both mobile and desktop, the Save feature was initially only meant for native link posts, but Facebook quietly upgraded it to allow any post with a link, video, photo or status update to be saved. Even if a post has multiple links in it, you can save all of the links at once with this tool. Mari recommends that you remind your fans from time to time of how to save and retrieve their saved items. Although publishers don’t have access to the metrics right now, Mari’s educated guess is that this feature might ultimately have value and give priority to the saved links. Listen to the show to learn how you can utilize Facebook’s new Save feature to curate content for your business page. Facebook is going head-to-head with YouTube in how it’s handling video within the news feed, especially with the rise of micro-video. Video views on Facebook have gone up exponentially in the last 6 to 12 months. Preferential exposure is being given to videos that are directly uploaded into Facebook, as opposed to being linked in from YouTube or Vimeo. These videos must be opened in a separate YouTube or Vimeo app, rather than just being viewed directly within the news feed. 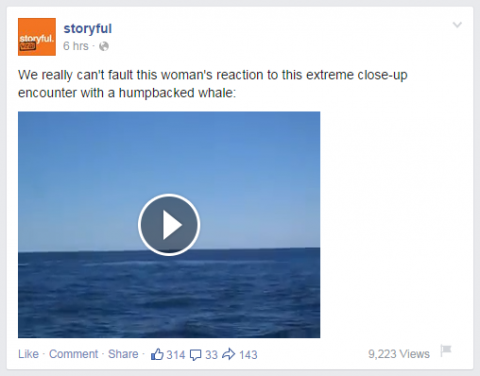 Videos directly uploaded to Facebook are playable within the news feed. This is significant because, as Mari reports, 75% of Facebook’s users access the site through mobile. That’s 800 million people worldwide. With Facebook’s auto-play function, users just hit play to unmute the video and before they know it, they’re watching it directly in the news feed. Mari explains that micro-video is an amazing development. Vine established 6-second micro-video and then along came Facebook and Instagram with 15-second videos. Mari says that there are some crazy good marketers doing interesting things on Instagram. Listen to the show to find out how the ALS Ice Bucket Challenge put micro-video on the map and how you can leverage this trend in your own Facebook marketing. Atlas is an ad serving and measurement service for what Facebook is calling its people-based marketing. 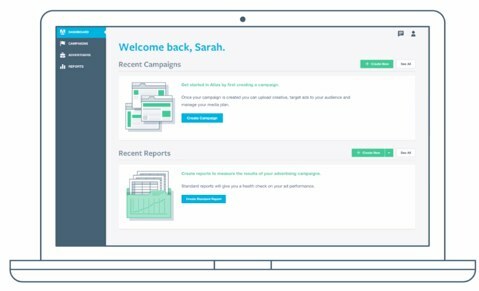 It allows advertisers to track display ads through user accounts instead of cookies for remarketing campaigns. Facebook’s Atlas does away with cookies and tracks advertising through user accounts instead. Currently, this service is only available to big brands and major agencies partnering with Facebook. They are in talks with a group of key partners and publishers to get Atlas integrated into their platforms. So of course Instagram is one of the first platforms to have Atlas fully integrated. Listen to the show to find out how Atlas will work in tying online ads to offline interactions. As a bonus segment to the podcast, Mari and I discuss the new platform Ello. Is Ello really the anti-Facebook? Will it have staying power? Is it worth exploring? Listen to the show to hear Mari and my thoughts and insights on Ello. Do you manage a brand or business profile on Instagram? Have you ever wanted to upload photos to your brand’s Instagram account from your computer instead of your mobile device? I recently found a tool called Gramblr that allows you to upload a photo to Instagram from a desktop or laptop computer. Gramblr allows photos to be uploaded from a computer to Instagram. The advantage of using Gramblr is that you can refine or add text to an image on your desktop or laptop computer before pushing it to your live feed. While Gramblr doesn’t allow you to schedule posts, it is great for times when you want to post an image or video to Instagram that isn’t on your phone. We have the best sale going on right now. Click here to check out the speakers, the agenda and to grab your earlybird discount. Connect with Mari Smith on her website, Facebook, Twitter or Instagram. Take a look at Facebook for Business on Facebook to see how well they do community management. 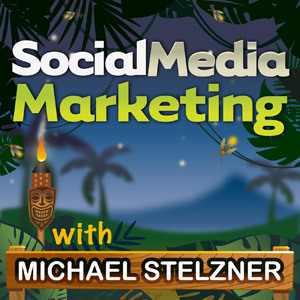 Listen to Social Media Marketing Podcast Episode 76, where Mari Smith and Jay Baer discuss changes to Facebook’s news feed. Follow Facebook’s News Feed FYI to track the latest updates. 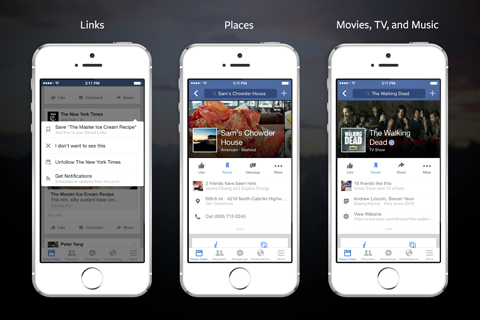 Read Facebook’s announcement on Showing More Timely Stories from Friends and Pages. Find out more about the Facebook Save feature. Learn how to add a call to action to videos on Facebook. Read about Video Metrics from Facebook. Find out What the Growth of Video on Facebook Means for Businesses. Discover the benefits of using Atlas by Facebook. What do you think? 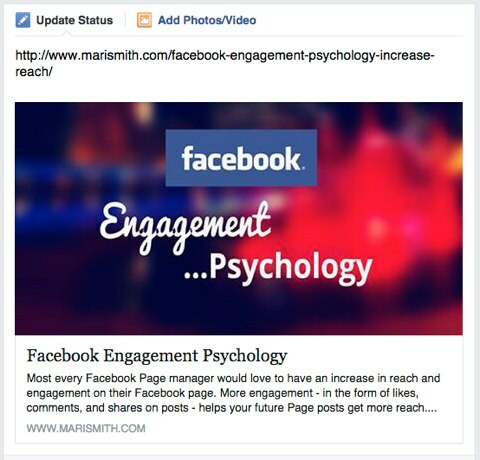 Have you noticed a drop in your reach and exposure on Facebook’s news feed? What tactics have been working for you? Please leave your comments below.